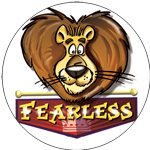 Fearless the Lion is an exciting series of children’s books and activity books that helps children to defeat all types of fear. 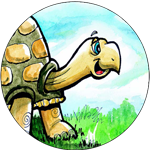 Fearless encourages children to overcome fears, persevere through struggles, and to view life through a joyful lens. 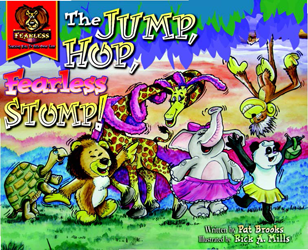 Come visit the world of Fearless the Lion through ‘Standing Tall,’ ‘Giggle Bubbles’ and ‘The Jump, Hop, Fearless, Stomp! 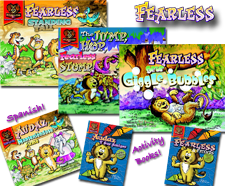 Explore Fearless the Lion’s Spanish language books. 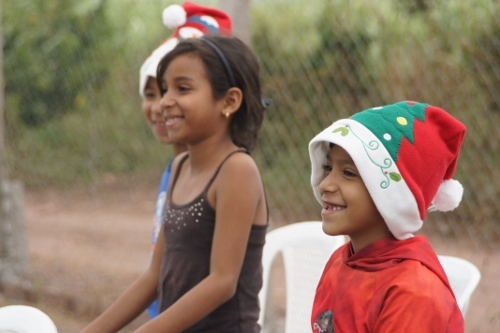 HONDURAS 2014: CENTRAL AMERICA! 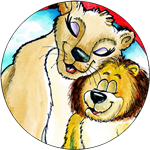 Fearless The Lion & Friends! ROAR and SMILE Big!This pic shows some of the Gang! 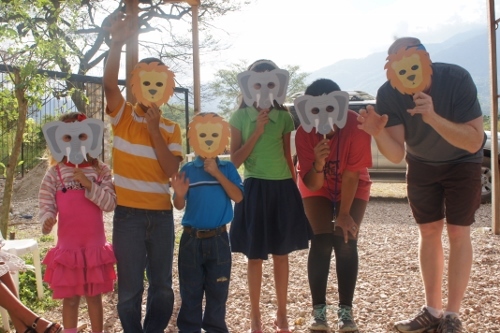 Fearless and Friends!This amazing group of Jungle Friends were ROARING...ROARING in Honduras with an amazing group of kids!This weekend... It's your turn! ROAR and SMILE! ROAR.... ROAR... ROAR!!! Dear Pat, I enjoyed your book on “Fearless” you had sent me. I’m also excited to share how your book helped one of our little friends while in the hospital.